Spiciest Tech Articles,Videos,How-Tos, and App Reviews on the internet! If you have read some of our articles, you may have assumed that we are launcher junkies, always looking for another launcher to test. You assumed correctly. Today we're looking into a new launcher which is still in its beta phase, and yet looks quite promising. 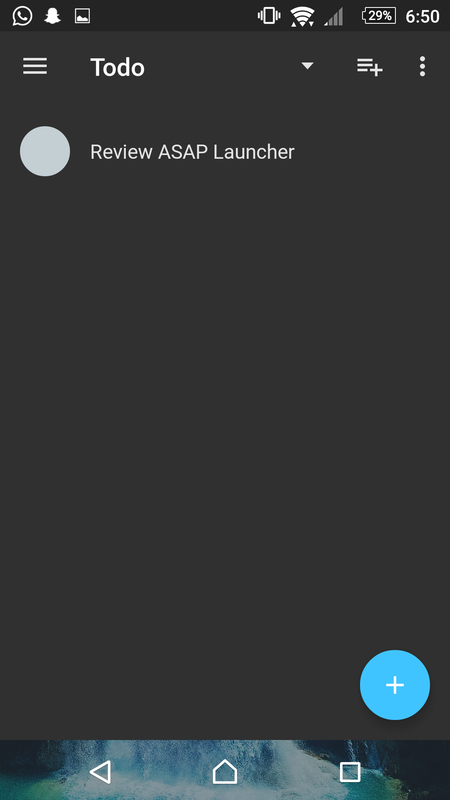 Having in mind that this is an early beta, with just over a hundred downloads, it is not surprising to find quite a simple and bare launcher, which does manage to be aesthetically pleasing. 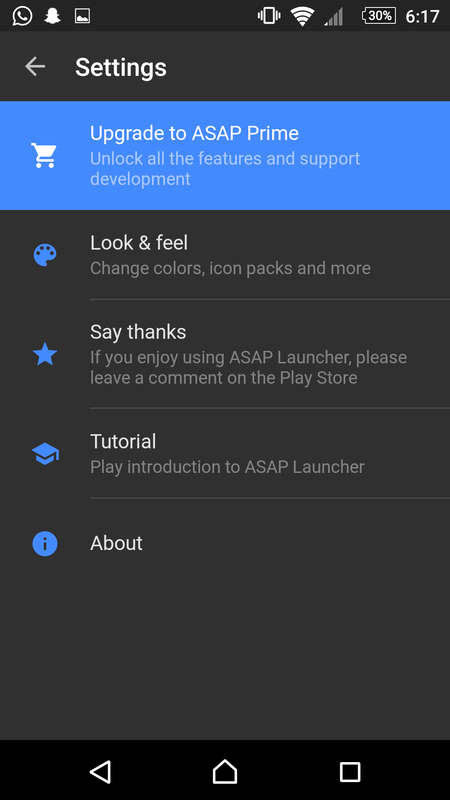 As soon as we open this launcher, we are flooded with our beloved material design. 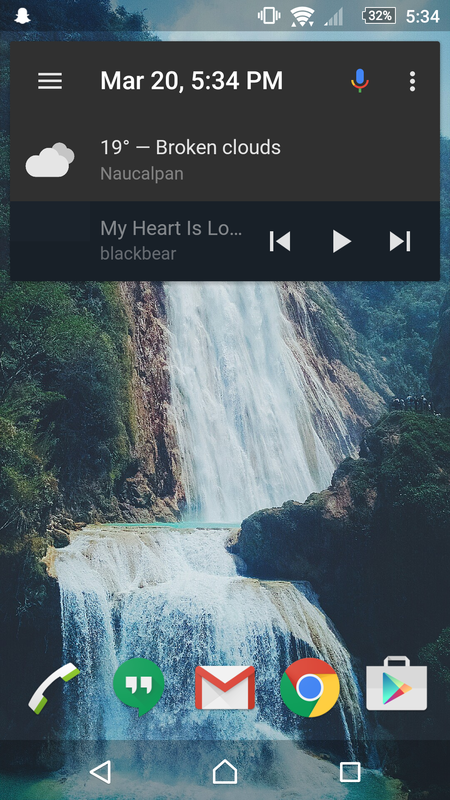 The main homescreen is quite bare, including only a clock widget and music controls. 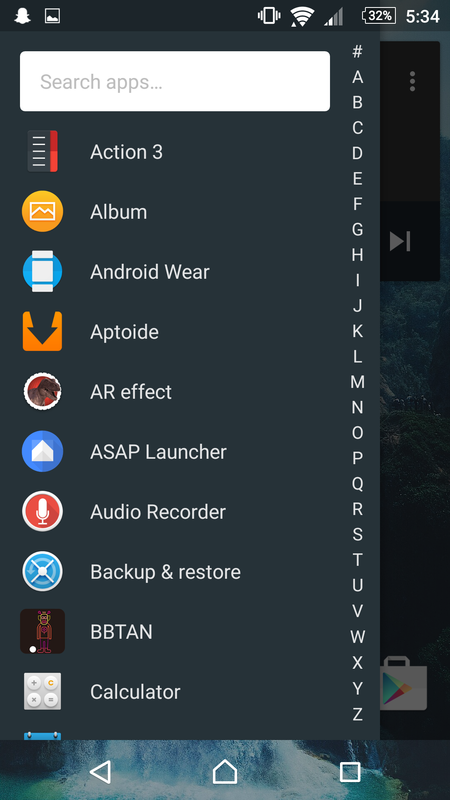 If we slide from the left edge of the display we encounter a sort of app drawer which is similar to the one found on Action Launcher. 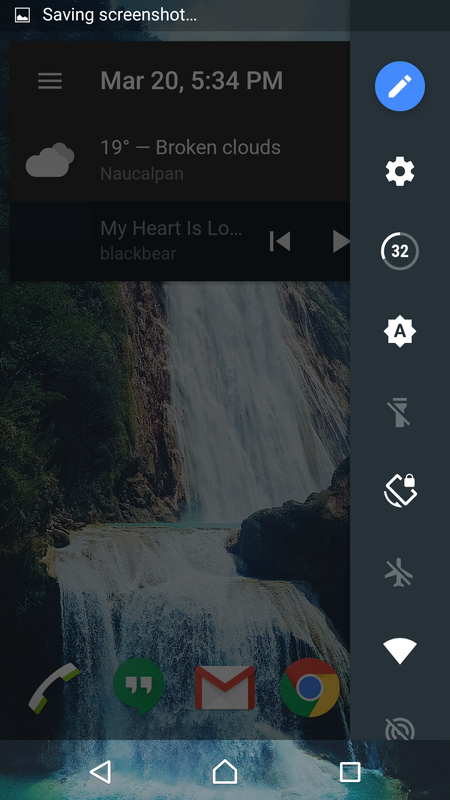 If we slide from the right edge of the display a quicksettings menu is pulled out. The dock contains the most used apps, which the launcher claims to learn over time. It can also be swiped up and expanded. 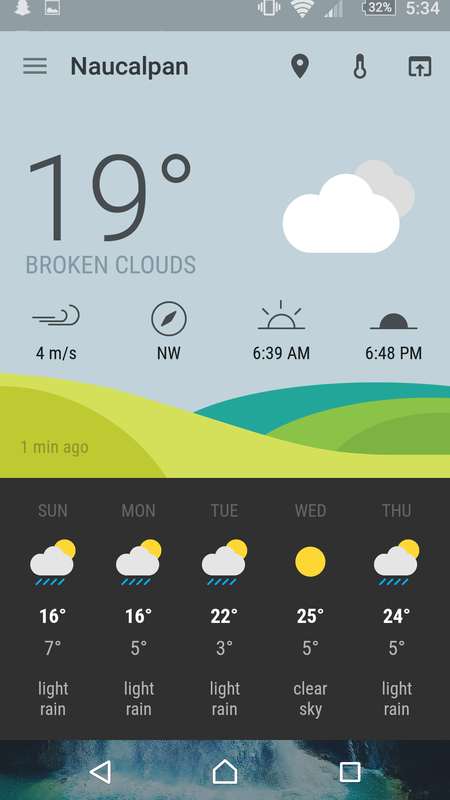 If we swipe to the left once we are encountered with an attractive card which contains your recents contancts, and if we swipe once again to the left we can see that a beautiful weather card occupies the whole screen. In the same manner, when we swipe to the screens on the right we bring up firstly a calendar screen, and a to do list on the rightmost screen. Overall, the launcher is very well put together. It combines great looks with a simple functionality that can be used by any kind of user. The preformance is extremely smooth, although there are some crashes every now and then, as must be expected with an early release. 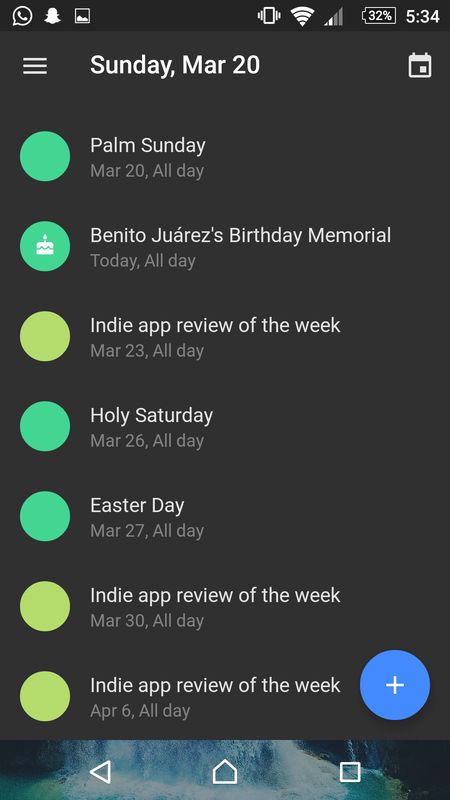 There is not much room for customization, there is no widget support (as of this release) for example. There is icon pack support, although that is unlocked via donation. The other customization options included in this release are the options to use a dark clock, show undread counts, andd change screen orientation. These options require the purchase of the pro version. This is not a launcher I would recommend as a daily driver, mostly because of the stability issues. However, I highly recommend to keep an eye open to future releases which should be more stable and include more customization. I can definitely see myself buying the upgrade in the near future, once there are more features. Chai Time: Does Size Matter? Today we aim to answer the age long question: is (screen) size relevant when it comes to phones? In less than twelve months I have experienced two abismally different screen sizes. Firstly, with the Moto X: a 4.7 inch phone. After growing tired of the limited storage, I jumped onto the Sony Xperia Z ultra, a 6.4 inch phone. Once again, I decided to break things up with this phone and ditched it for a smaller, more comfortable phone: The Sony M5, a five incher. At first my sole reason for changing devices was the storage. The 16 gigabytes on the Moto X (first generation) are non expandable. The storage shrank daily, I needed a device with expandable storage. That's when I picked up what was formerly my father's phablet, the Z Ultra. At first it was a breath of fresh air. The bigger screen displayed my media in all of its 1080p glory. I was extremely happy with my new phone. It was extremely comfortable for enjoying Netflix on an uneventful afternoon, for browsing Reddit at night and obviously for gaming. This bigger screen was superior for consuming media, and the controls on my games were displayed on a bigger area, making them more comfortable. There was one thing that was not comfortable though: my jeans. My phone either fit in too tight and hurt my hips when I sat on the bus, or it would fall out when wearing looser pants. The solution was to carry my phone in my backpack, which was no issue since I always wear my Moto 360 so I wouldn't miss any notifications. Yet, if I needed to get my phone out quickly it was too much of a hassle. A phablet is a great device for media consumption. However, it is not the best option for most users, especially those with a more active lifestyle. It is impossible to carry one around in the gym, or when jogging. It is too uncomfortable and a larger (device) surface area means there are more chances to scratch its sufrace with something. On the other hand, if you are most of the day in a classroom/office and can carry a phablet on your briefcase (with a smartwatch paired to it) or your jacket pocket, it may be worth the investment. In my case, a smaller device was the solution. I picked up the Sony M5, a phone which is smaller altogether than the Ultra's screen. I now can carry it comfortably in my pockets, plus one handed usage is once again possible. This is a huge plus, I had forgotten how important one handed usage is for me, especially when walking around campus. Phablets are slowly losing traction, with very few real contenders left on the market, probably with a good reason. The usability and comfort may be prioritized over media consumption. A phablet could be appealing for someone who is looking to merge their phone and tablet experience, but it is not the same to either one of them. Of course I do miss the big screen sometimes, but I will not be returning to a size so big. Do phablets have a future? Let us know in the comments below! This was the first wearable to lay upon my body, or more precisely, my wrist. It came bundled with our Xperia Z2 at the time (probably because of a lack of sales). Later on, we received another one with the purchase of a Z Ultra. Being it one of the top wearables at the time, it did get a lot of answers and I got a lot of questions asked about its functionality. In order to use said band, one must download Sony’s apps (Smart Connect and the SWR10 extension, and a not mandatory LifeLog). With the first two apps, you are able to set up the device and receive vibrating notifications on your band which come with a tiny vibrating LED. Also, you will be able to set up music controls on the band (by tapping it a said number of times). If you download LifeLog (or what I call the stalkiest app on the store) you are able to use this app with the added functionality of the smartband. The app itself allows you to (as the name implies) log your life. It lets you know how much time you spend on certain apps in addition to working as an activity tracker. With the smartband, it allows you to track your sleep and set up smart alarms. These will track your sleep and wake you up in the lightest phase with vibrations from your band. You’ll be wearing this band at night since the battery will last for almost five days on a single charge, plus it takes an extremely short while to juice up fully. In addition, you’ll be wearing it in the shower since it comes with water proofing. The hardware itself is pretty simple, it is simply a white chip style “Core” unit which is inserted into a silicone band. The band is extremely pleasing to wear, with a very soft texture and easily tightened with the classy metallic button. This is a very light combination which lays little weight on the wrist and is easily worn to bed. purpose. Sometimes a gentle tap was enough, sometimes I needed to smack the wristband in order to get it to work. Overall, if you get this device for free in a bundle do try it out, it is a nice and useful accessory. Although if you are looking to purchase it, I am afraid it is not worth the money. The features are very limited. Chai Time: Google is now Alphabet, what does that mean for you? In a sudden odd turn of events, Google as a company has now changed itself in a sort of unforeseen way. Now what does that mean for you? Well, the company formerly known as Google has now renamed itself Alphabet, and this company known as Alphabet owns Google and a number of formerly owned Google services. The change apparently comes in an effort to make Google "Cleaner and more accountable", and you can find out more details about the announcement here in a new domain from Google with obvious themes from their new company. The short of it is, if you are a Google products user nothing will really change, Google itself will just be under a new name. Alphabet is basically just what Google was, headed with Sergey Brinn as president and Larry Page as CEO. However, some parts of Google will now be under Alphabet instead, and Google will be an Alphabet product. Google itself will still retain search, ads, maps, apps, YouTube, and Android and will be headed by Sundar Pichai. While things like Google Ventures and X(their team involved in things like Google Glass) will be under Alphabet's umbrella of companies. What happens to some of their other products like Google Auto only time will tell. So its been a few more days on vacation, and ive been able to go the whole day without worrying about charging. This includes light Reddit browsing, some messaging, some GPS navigation and some other light miscellaneous things. Taking pictures has turned out amazing, really happy with the camera on this thing. I've heard reports from other people that the camera is slow, but I've been able to take pretty much all the pics I need/want to in time. The other thing I was worried about when picking this thing up was the size. But not once has it fallen out of my hands, or have I worried about it jumping out of my pocket (I also have pretty big pockets). While the camera shortcut on the lock screen can be a bit finicky at times, sliding from it has never really been a huge problem. I'm interested to see what a few more days of field testing will bring! Now on to day two. Today we flew two separate flights to get to our destination, and walked around for a bit within Maine. On the flights, the nexus provided me with some great media choices from my movies to my music. By the time we landed, I had about 40% battery, and this was after being up with my phone from 4am to around 3 o clock. As soon as we landed, I was greeted with some great suggestions of nearby restaurants and sites to visit courtesy of Google now. After a 1 hour drive from the airport to our hotel with some more media consumption . I got to the hotel with about 20 percent battery. Plenty to take a few pics, but eventually my nexus gave in to lethargy. It gave up at about 6:30, after basically a full day without a charge. Speaking of the shots, the nexus 6 camera really came through. Although it's a bit slow to start and a little difficult to get it out quickly (mostly due to its size), once I can get a shot that 13 mp ois camera actually takes some great pictures. With them all being backed up to Google photos once I got to wifi, it's easy to just take as many pics as I want and worry about them later. Especially because of Photos ability to pick your best shots and delete the rest. The nexus 6 also comes with an awesome hdr + setting which can get some really nice and pretty accurate lighting out of some otherwise difficult shots. Let's see what I can pull out of it over the rest of the trip! After running into battery, camera, and size issues with my moto X over the last year or so. I've finally decided to upgrade my moto to something a little more on the premium side. I needed something with stock Android, a good camera, and awesome battery life. I finally decided on the nexus 6, and after a few days with it I decided to use it as my only device for an entire vacation. Let's see how this goes! Note: most parts of this series will be entirely text due to me writing everything on the blogger mobile app. With that out of the way, let's begin my adventure with only one device: the enormous nexus 6. So right away, the benefits of having a phablet vs a regular phone became pretty apparent. We started this trip with a car ride and a hotel stay today. The car ride was great, I was able to put pretty much all of my media(3 seasons of spongebob, all my john mayer and Indian music, a few games, and a movie) onto just one device. The battery has lasted me pretty much all day, and now all I need to do is plug it in when we reach our hotel. Another thing that really helped on the ride was the device's awesome speakers. I forgot to sync my new phone with our car's Bluetooth system, so I ended up using my device speakers which actually ended up being a pretty decent experience. Both my parents and I could listen to the music pretty well, even over the roar of the road. I wrote this entire article on the car ride while playing through the speakers full blast, and still managed to get through the day without a dead phone. That's pretty impressive! Can't wait to see what tomorrow brings.